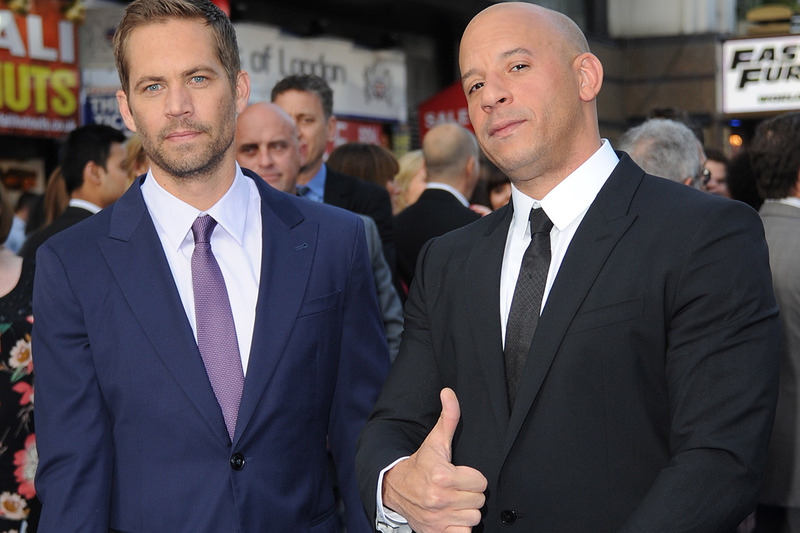 Paul Walker will forever be a part of his "brother" Vin Diesel’s life. The ‘Fast and the Furious 7’ star welcomed a baby girl with girlfriend Paloma Jiménez, 31, on March 16. And earlier this morning, March 23, on 'Today,' Vin revealed they chose to name their third child Pauline after his late co-star. "While I was in the hospital, the name that I will give you is… I named her… I named her Pauline," he told host Natalie Morales. "There's no other person that I'm thinking about as I'm cutting this umbilical cord. "I knew he was there and I felt like, you know, a way to keep his memory a part of my memory, a part of my world," the 47-year-old continued. Vin shared this pic when his baby was born. Vin announced his daughter's arrival on Facebook with this snap, paired with lyrics to Louis Armstrong's “(What a) Wonderful World.” He and his longtime girlfriend are also proud parents to Hania Riley, 6, and Vincent Sinclair, 4. Paul died in a car crash on Nov. 30, 2013. He was 40-years-old.